Looking for romance, relaxation or adventure on your holiday? The Caribbean Islands can provide all three. These beautiful islands are packed with breathtaking views, sweeping sandy beaches and cultural charm. Put this together with pretty much guaranteed sun and you have the ideal holiday. With so many sights to take in, car hire in the Caribbean is the easiest way to get from one fantastic location to another. Public transport on the islands is not always the most reliable and can get very crowded at certain times of the day. If you are planning on many trips then taxis fares can start to really add up. Run a quote for car hire through MoneyMaxim and see how little it can cost! We still have some great deals on car hire in the Caribbean for Christmas and the New Year. But BOOK NOW as they won't be around for long! 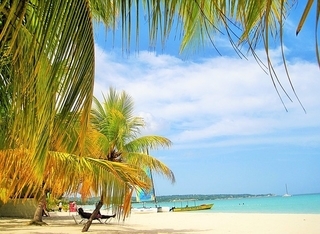 Still undecided about where to go on holiday in the Caribbean? 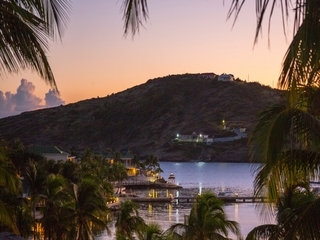 We shine the light on four of the most popular islands. Saint Lucia is part of the Lesser Antilles group of islands, lying to the northwest of Barbados. Romance- Visit the Hotel Chocolat cocoa plantation on the Rabot Estate. Or try horseback riding on the beach. Relaxation - There's catamaran sailing or, if you prefer dry land, take a dip in one of the mineral baths at Diamond Falls Botanical Gardens. 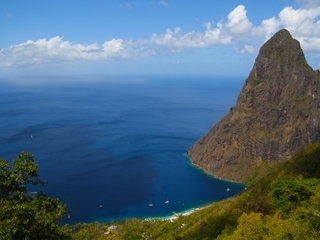 Adventure - Drive to the Piton Mountains and even up part of an active volcano. Visit the rainforest for ziplining or the aerial tram. Barbados is the most easterly of the Caribbean islands and is in the Windward Islands. 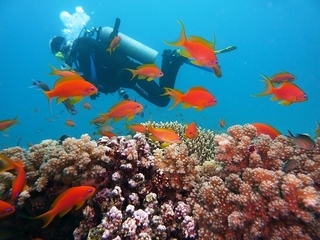 Romance - Go snorkelling and explore the underwater world together. You will be able to see colourful fish, amazing coral as well as turtles. Relaxation - Sports fans might get lucky and catch a cricket match the the Kennington Oval. In the evening dine out Bajan style! Adventure - Discover the Animal Flower Cave in the far north of the island. Go diving to find one of the wrecks submerged off the Barbados coast. Antigua is in the Leeward Islands and is the sister island to Barbuda. Romance - Enjoy a sunset cruise with the one you love or take your hire car along Fig Tree Drive, a stunning coastal route. Relaxation - Everyone goes to the Caribbean to enjoy the beaches but Antigua can boast 365 of them. Take your pick! Adventure - Take a tour of the rainforest with ziplines and suspended walkways. Or walk in Nelson's footsteps at the Dockyard National Park. Jamaica is the third largest of the Greater Antilles islands and fourth largest in the Caribbean. Romance - There are several waterfalls in Jamaica including Reach Falls, Dunn's River Falls and YS Falls. Relaxation - Jamaica has a wonderful nightlife. From the local music scene to festivals to beach parties there is plenty of fun to be had. Adventure - Go bobsledding! Yes really! If you prefer a slower pace then there are plenty of beautiful places to go hiking.